Established during 707-737 AH / 1307-1336 CE, Mamluk era, it is located at the western flank of the Temple Mount (Haram al-Sharif) beside the Morocco Gate. 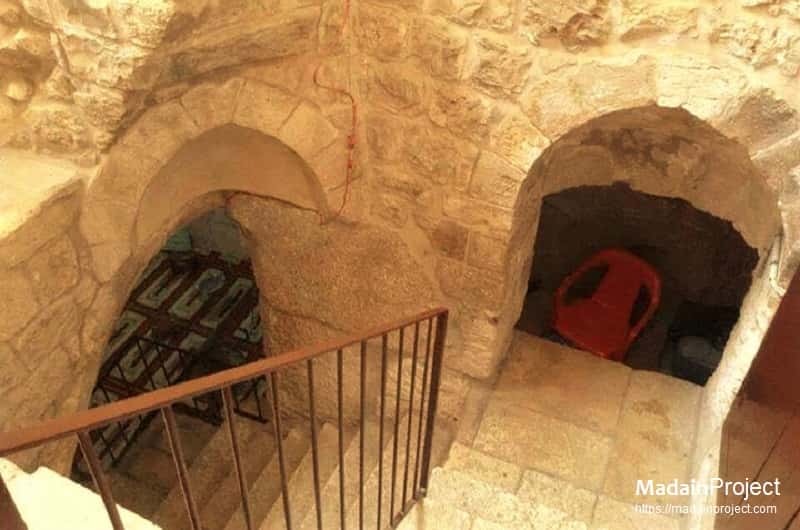 This small structure, on the south-west corner of the al-Aqsa compound is believed to be the place where prophet Muhammad tied the Buraq, the winged riding animal upon which he rode during the Night of Ascension. The wall on the right is the other side of what the Jews call the Wailing Wall. The mosque (windowed structure to the left) is located north of the Bab al-Magharibah. The chain gate minaret is also visible to the right in the background. al-Buraq Mosque is a subterranean barrel vault built next to al-Buraq Wall (Western Wall). The mosque is still open for prayers as worshipers use this entrance located in al-Aqsa’s western corridor. The main gate, (today known as the Barclay's Gate and located directly below the Moroccan Gate) of al-Buraq Mosque is located in al-Aqsa’s western wall, but is permanently sealed. After entering the small structure, there is a rounding flight of some 30 steps leading down to the main prayer hall. The arch to the right is a small galelry, and the arch to teh left leads down to the mosque floor. It is called Al-Buraq Mosque because of a ring that is nailed to its wall (left) which Muslims believe Prophet Mohammad used to tie al-Buraq, a magnificent animal that carried him from Mecca to Jerusalem in the Night Journey of “Al-Isra’ wa Al-Mi’raj.” Looking towards the western or the al-Buraq wall, the qibla wall is to the left, with a small sing attached to it. Interior of the main prayer hall of the mosque circa 1940 CE, the earlist mention about this mosque was by Abd al-Ghani al-Nabulsi in 1689 CE. The lintel of Barclay's gate can be seen to the left below the arch. This arch was the roof to one of the four large second temple era gates, mentioned by Josephus. The “al-Buraq” Mosque “built into the vaulted internal gate passage of Barclay’s Gate.” The dark line on the far wall (left of the photo) is “apparently the top of the lintel” (Powers). Eric Matson Photo, 1940s.